We welcome our new patients and love to see new smiles! 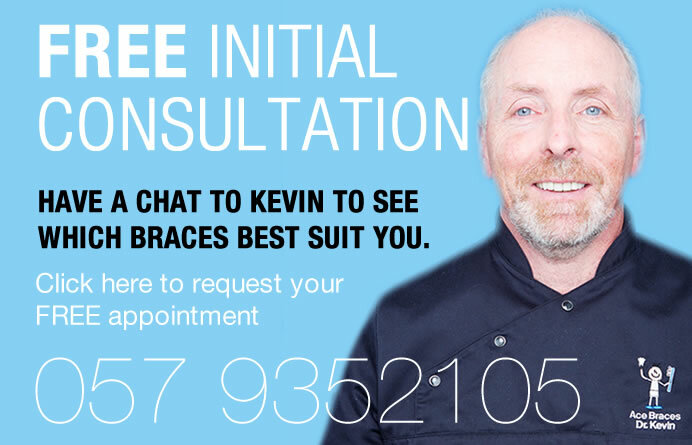 At the Free initial consultation, Kevin will see if you are suitable for braces. He will see if any x-rays or radiographs are necessary and take digital photographs, then carry out a thorough clinical examination and come up with an individualized diagnosis and treatment plan for you taking into account your wishes and areas of concern. He’ll discuss the treatment options fees and follow ups and advise on what he feels would be the best solution to your problems .The treatment co-ordintor will talk to you to ensure you understood the treatment plan and you are happy with the aims of treatment and the treatment proposed and with the flexible interest free payment plan. Putting braces on we use ‘glue’ to put on the brackets so there are no injections and nothing hurts, the brackets are placed and the wires are inserted and then you are instructed on oral hygiene and looking after your teeth and advice given regarding sweets to avoid eg jellies and toffees which must be avoided. Because your time is precious we try to minimise the number of appointments so we see most people every six to eight weeks but if necessary we would see you every week depending on the clinical requirements.We want to make your first visit and placement of braces a very pleasant experience on the road to the beautiful smile we all want. How old do I have to be to start orthodontic treatment? Every child is different. Some children develop their permanent teeth very quickly. Some very slowly. Some children are ready for an orthodontic screening before age 9. Some by age 12. Generally once a child is ready most of the permanent teeth have erupted but not all of them. What happens at initial examination appointment? We will carry out a free clinical examination. We will take any necessary radiographs and photographs at that visit or subsequent visit. Any orthodontic problems will be explained. We will advise you of what can be done to correct the problem and whether or not extractions will be necessary and how long treatment will take and how much treatment will cost. With new technology low force brackets and wires we aim for a beautiful balanced facial profile so extractions are much more infrequent than in the past and we only extract when it is absolutely necessary. Treatment normally lasts 18 months – 2 years but depending on the specific orthodontic problem and treatment, it could last from 6 months or v v rarely up to 36 months. The cost varies depending on the type of braces chosen, the estimated length of treatment time and the severity of the orthodontic problem. Braces are an investment in your future. They are normally paid for in installments by standing order and are presently tax deductible. The cost of an orthodontic consultation is presently FREE. You get a FREE EXAM INITIAL CONSULTATION. How often will I have to have appointments? Most patients in braces will be seen every 6-9 weeks but if treatment requires more frequent visits you will be facilitated. Unfortunately we cannot schedule all appointments after school, however very little school is missed as most appointments are every 6-9 weeks. Generally braces do not hurt. However after certain visits teeth may be tender for a few days. If necessary, take some pain medication such as nurofen provided you are not allergic to it. The majority of patients do not feel any soreness at all. With the new technology self ligating brackets and space age nickel titanium gentle wires, very light forces are used. Just because it does not hurt, does not mean it is not working. We recommend a mouth guard for all sports. Will I need to see my family dentist following braces? Yes. Regular check ups with your family dentist are very important to monitor gum condition and to make sure no new cavities are developing while you are in braces. Yes. We will give you a list. Generally you cannot eat anything hard or sticky e.g toffee, jellies and mars bars. We request at least 24 hours notice if you need to cancel an appointment so we can facilitate another patient. Do I need retainers afterwards? Yes. Teeth move throughout life so even if your teeth are perfect and you never had braces, your teeth will move throughout life so you need to wear retainers (removable braces) at night to keep the beautiful smile just achieved.